The Houlton High School Alumni Association announced Monday, Aug. 27, a Matching Gift Challenge where donations to the Endowment Fund will be matched on a one-to-one basis for a limited time. 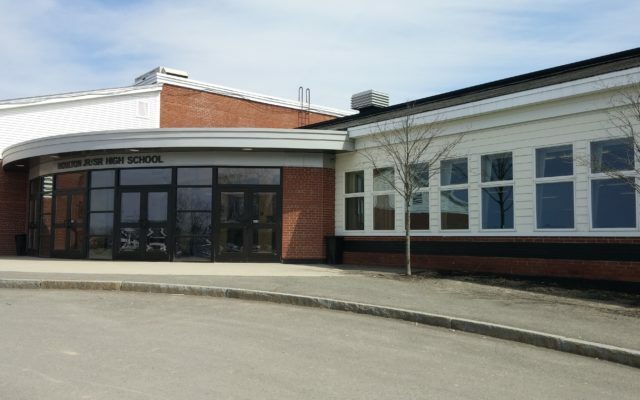 HOULTON, Maine — The Houlton High School Alumni Association announced Monday, Aug. 27, a Matching Gift Challenge where donations to the Endowment Fund will be matched on a one-to-one basis for a limited time. Those wishing to contribute to the existing Endowment Fund or to create a new Named Scholarship Fund (sub fund) can have their gift doubled as part of the Matching Gift Challenge thanks to a generous challenge gift of $45,000 from the Aaron A. and Maria H. Putnam Family Charitable Trust. The Challenge runs through Sept. 30. Matches will be made on a first-come, first-served basis. With limited funds available for the match, the Alumni Association reserves the right to discontinue the Challenge at any time. The Endowment Fund was established 15 years ago. The principal remains untouched so an annual disbursement of earnings is received. These proceeds are used, in part, each year in combination with collections from the Annual Fund Campaign to present scholarships to Houlton High School graduates. In 2018, nearly $53,000 in scholarships were presented to 27 students. There are three ways to participate in the Matching Gift Challenge. Donors can have their gift included in the Alumni Association Endowment Fund; gifts can be included in an existing Named Scholarship (sub fund); or, donors can create a new Named Scholarship (sub fund). Named Scholarships can be set up in honor or in memory of an individual, couple or family or can be established in recognition of a graduating class year, a business or an organization as a way to provide scholarship assistance in perpetuity. Those wishing to make an Endowment Fund gift and meet the Matching Gift Challenge can make a one-time gift of $500 to $12,500 to the Houlton High School Alumni Association by Sept. 30 or make a pledge commitment to be paid in up to three years in an amount of $1,500 to $12,500. Gifts can be made by clicking on the Matching Gift Challenge button on the Alumni Association website at www.houltonalumni.com or by mailing a payment or pledge agreement to HHSAA, P.O. Box 990, Houlton, ME 04730. Contributors should note “Matching Gift Challenge” in the memo of any checks that are sent. Contributions will be added to the Alumni Association Endowment Fund unless indicated that it be directed to an established Named Scholarship (sub fund) or used to set up a new Name Scholarship (sub fund). Further information on Named Scholarships/sub-funds is available by contacting Jerry York, Fundraising Co-Chair at 538-3202, Jon McLaughlin, Fundraising Co-Chair at 521-0157 or Ketch at 521-7250. Details about the Matching Gift Challenge can also be found at www.houltonalumni.com.